A reboot of Rod Serling’s “The Twilight Zone” will only be shown on CBS All Access, CBS’s streaming video on demand service. 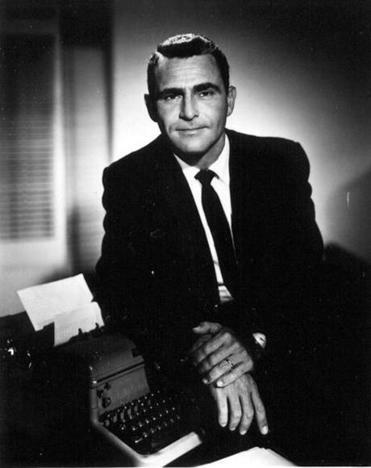 As a lifelong worshiper of Rod Serling’s “The Twilight Zone,” which contains all the riddles and nightmares you’ll probably ever need to consider in life, and which brought to TV a soaring imagination that has helped define generations of shows as varied as “The X-Files,” “Lost,” “Westworld,” “Manifest,” and “Russian Doll,” I have a problem that, soon enough, will become everyone’s problem — if it isn’t already. Jordan Peele is rebooting the classic CBS series, which is a risky venture to say the least, particularly since “Black Mirror” has brought a new rush of brilliance and energy to the dystopian anthology format. It is one of the most anticipated shows of the year, and if it’s good, which is quite possible given Peele’s track record, it will qualify as must-see. Perhaps it will compare positively to the original, whose iconic logo, with the cracked-mirror font written like graffiti on a starry night sky, it will share. But here’s what you’ll need to do to watch the show when it premieres on April 1: Get CBS All Access. It’ll cost you $5.99 a month with commercials, and $9.99 a month without them. Otherwise, no “TZ” for you. Sure, you’ll get other CBS programs, you’ll get the exclusive shows “Star Trek: Discovery” and “The Good Fight,” and you’ll get old classics such as “I Love Lucy” and “Cheers.” But still, in a way, you’ll be signing up to a full service for just one show — something a number of people I know have done specifically to watch “The Handmaid’s Tale” on Hulu. Even if you’re a cord-cutter, you have to be growing irked at all the separate, billable services you need to add on in order to get the good stuff. I’m not talking about the likes of Sling and FuboTV, which carry many channels but no original content. My problem has to do with Amazon, Hulu, HBO Now, Netflix, DirecTV Now, DC Universe, Acorn TV, CBS All Access, Shudder, College Humor, Sony Crackle, and a few others, including many sports options. And they will be joined in the near future by Disney+, a service from WarnerMedia and AT&T, and a service from Apple, which has already ordered up many high-profile original series including a morning-show drama with Reese Witherspoon and Jennifer Aniston, an adaptation of “Defending Jacob” with Chris Evans, and shows from Damien Chazelle and Rob McElhenney and Charlie Day. In other words, we’ve only just begun. Theoretically, I love what’s happening; cable packages are absurd, and I’ve always been a proponent of the a la carte approach to content, so that you can build, one by one, your own viewing options. Choice is the philosophy driving TV right now — choosing which shows to watch, where to watch them, and when, and selecting outlets individually instead of having to get them in batches. And the more we have to choose from, the more competitive content providers will need to be to grab our eyes and our money; thus, more quality. But in reality, I can see that having too many far-flung alternatives is going to wear on viewers and their budgets. I suppose people could change up their choices every month, as they binge new shows and cross them off their list (they’d have to wait a few months for some though; CBS All Access is treating “The Twilight Zone” in the way Amazon managed “The Romanoffs” and Hulu “The Handmaid’s Tale,” dropping only one episode per week for the run of the season). But how active do most viewers want to be when it comes to the month-by-month management of their picks? And will streaming companies begin to require many months of subscriptions, or allow resubscriptions only at certain intervals, to stop service-hoppers? My irritation about “The Twilight Zone” has gotten me thinking about how all of this will play out, as the field gets more and more crowded. In the meantime, there will be some chaos. I find that binge-watching has already tamped down the communal experience of TV shows, since we no longer watch simultaneously but instead on demand. As we generate toward different streaming sources, that cultural fragmentation is bound to increase, changing the nature of a medium that has, to some extent, been a unifying activity. In the twilight zone of TV’s future, we won’t just be watching on different planets, we’ll be watching in different universes.